With the holidays now underway, it&apos;s time to find those special last-minute gifts for your friends and family. 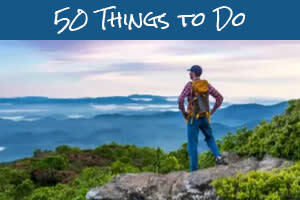 And, you can do just that in Asheville this weekend! 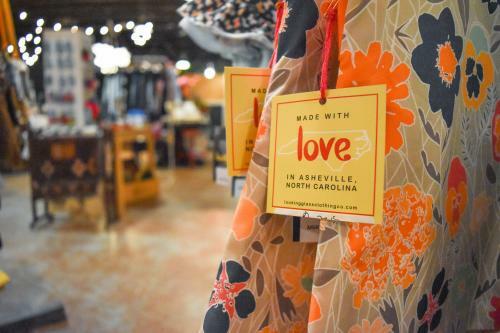 Asheville is home to beautiful shopping districts featuring locally-owned stores specializing in one-of-a-kind gifts. 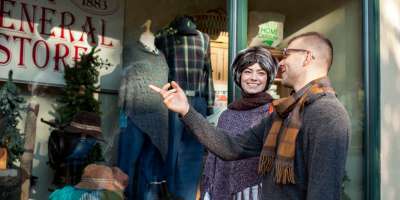 Great places to shop include downtown Asheville, Biltmore Village, the River Arts District and neighboring communities such as Weaverville and Black Mountain. This weekend, many of local shops and local artisans have events planned to help you find just what you need to put the finishing touches on your list. Explore our events calendar to discover great local happenings every day of the week! 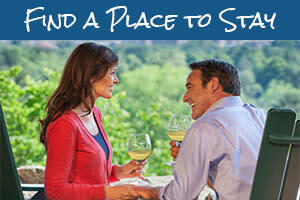 And, you can always give the gift of a special holiday experience here in the mountains! 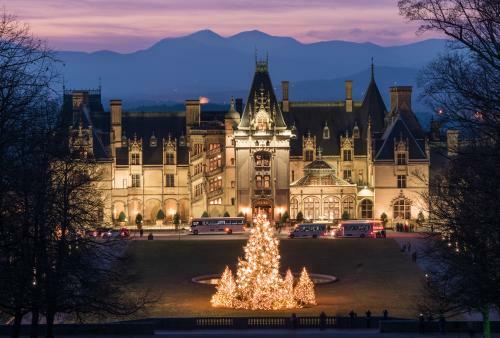 Asheville sparkles for the season with great light displays and iconic celebrations. 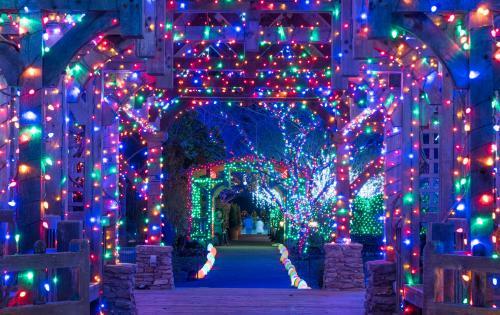 There&apos;s still time to plan your holiday getaway! Check out our easy-to-use hotel search to check rates and availability. Holiday Craft Bazaar: For the third year, Asheville Music Hall hosts its annual Holiday Craft Bazaar on Saturday from 11 a.m. to 6 p.m. Nearly 30 local craft makers will have their wares on sale. For every item purchased, you will receive a raffle ticket for a chance to win tickets to an upcoming show at Asheville Music Hall. While you shop, enjoy live music, a Bloody Mary bar, a kids area and massage chairs on both levels! Holiday Sip & Shop: American-made art and holiday gifts handcrafted by area artists will be ten percent off during the Holiday Sip & Shop in Grovewood Village on Friday and Saturday from 10 a.m. to 5:30 p.m. Enjoy complimentary wine, warm cider and cookies as you shop and as you watch the artists perform live craft demonstrations. 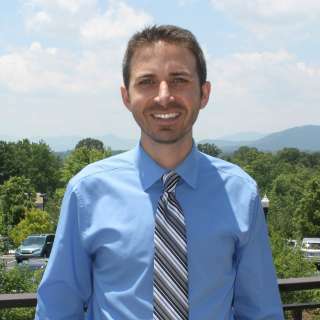 Grovewood Village is located adjacent to The Omni Grove Park Inn in north Asheville. Wedge Studios Holiday Open House: Sip, mingle and shop in the River Arts District at Wedge Studios (129 Roberts St.). All studios will be on open Saturday from 1-5 p.m. The studios will have a vareity of goodies and rinks to keep you in the holiday spirit. Pick out some original gifts as you support local Asheville artists! Holiday Spectacular Pop Up Shop: At the Asheville Masonic Temple in downtown Asheville, the area’s best in handmade and vintage is on sale during the 14-day Holiday Spectacular Pop Up Shop. Organizers have selected goods from 125 local makers and designers. Have your pick of clothing, jewelry, décor, greeting cards, vintage wares and more. The pop up shop is open through December 20. Visit Sunday through Thursday, 10 a.m. to 7 p.m. and Friday and Saturday, 10 a.m. to 9 p.m.
Asheville Pop Up Shop Headquarters at Moonlight Makers: Every weekend in December, shop handmade goods by talented local artists at this pop up shop, hosted by LOOM imports, located on the corner of Rankin and Walnut Streets in downtown Asheville. The shop is open Friday and Saturday, 10 a.m. to 8 p.m. and Sunday, 10 a.m. to 5 p.m.
National Gingerbread House Competition at The Omni Grove Park Inn: The nation&apos;s best gingerbread houses are on display as part of the 25th National Gingerbread House Competition. This year&apos;s competition featured 170 entries from across the United States and Canada. View the entries Sunday afternoons after 3 p.m. through Thursdays. 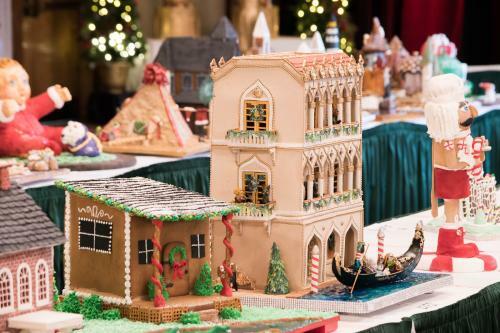 Our guide to the National Gingerbread House Competition has key information to know as you plan your visit. 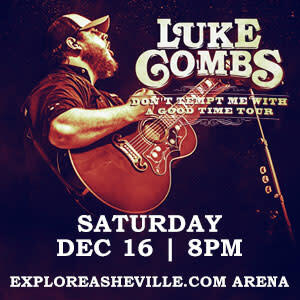 Luke Combs at the U.S. Cellular Center: Country music sensation Luke Combs brings his Don’t Tempt Me With a Good Time Tour to ExploreAsheville.com Arena at the U.S. Cellular Center this Saturday at 8 p.m. Luke Combs is from North Carolina and attended Appalachian State University. His 2015 single Hurricane quickly shot up the Billboard Hot Country Top 40 charts. While the show is officially sold out, some resale tickets remain. Hope Griffin at Asheville Music Hall: On Friday night at 8 p.m., singer/songrwriter Hope Griffin performs at Asheville Music Hall as part of the release of her first Holiday EP. For the past two years, Griffin has been named “Best Singer/Songrwiter” and “Best Acoustic/Folk Band” in Western North Carolina by readers of the Mountain Xpress. She’ll be joined on stage by popular Asheville-based musician Jeff Thompson. 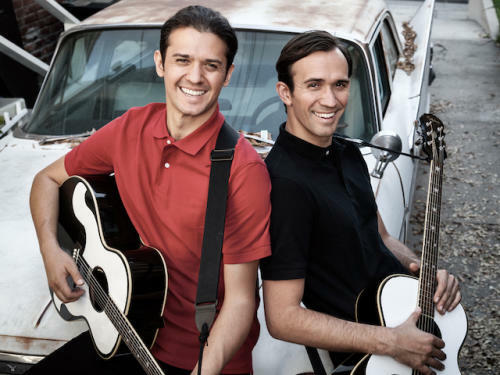 The Zmed Brothers at Isis Restaurant and Music Hall: The sounds of the Everly Brothers come to life at Isis Restaurant Music Hall on Saturday at 9 p.m. thanks to The Zmed Brothers. With the Everly Brothers Experience, they aim to honor the sound of the musicians while also telling their own personal story. A Swannanoa Solstice at the Diana Wortham Theatre: Just a few seats remain for the popular annual holiday concert A Swannanoa Solstice at The Diana Wortham Theatre on Sunday at 2 p.m. and 7 p.m. With guitars, mandolins, fiddle, Appalachian dulcimer, piano, Celtic harp and world percussion, the musicians put on an inspiring show. 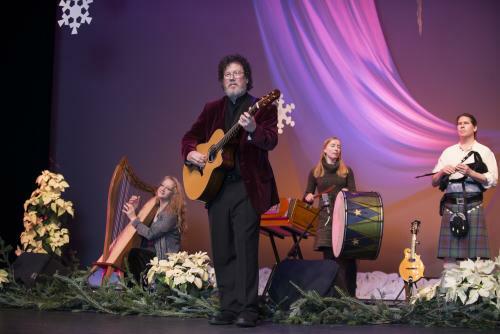 Renowned recording artists Al Petteway, Amy White and Robin Bullock will be joined by Grammy Award-winner David Holt and other nationally-acclaimed guests. The Nutcracker at the Diana Wortham Theatre: For more holiday fun, watch the Ballet Conservatory of Asheville present The Nutcracker at Diana Wortham Theatre on Thursday and Friday at 4:30 and 7:30 p.m. each evening. This family experience emphasizes elegant ballet. Santaland Diaries at Asheville Community Theatre: When an out of work slacker takes a job as an elf in Macy’s Santaland, his hilarious observations of the shoppers and employees are much more naughty than nice. Take a look at the schedule of performances for this one-man-act comedy starring Bradshaw Call at Asheville Community Theatre. Performances are Wednesday through Sunday. Photo credits: Top photo by Erin Adams. 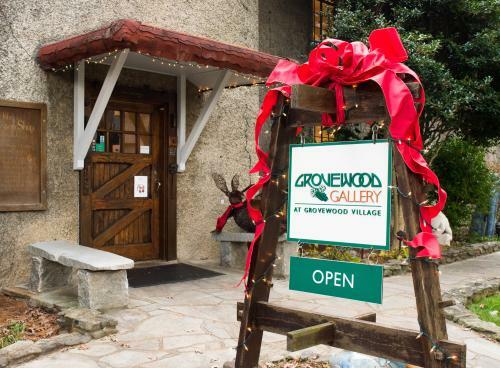 Shop local, Grovewood Village, Biltmore, Winter Lights, Gingerbread photos by Jason Tarr. Luke Combs poster courtesy U.S. Cellular Center. Zmed Brothers photo courtesy Isis Restaurant and Music Hall. Swannanoa Solstice photo by Sandra Stambaugh.